Spam which was once just annoying is now developed to attack organizations causing security data breaches to drive profits through massive attack. Spams are unsolicited emails with the intent to infect computers and steal information. Spam mails are crafted like genuine-looking emails claiming to be from an authorized organization. However, it holds a malicious attachment and link that redirects the user to a malicious website or a website hosting malware. Spam came into popularity in 1990s. It is believed that a network of malicious computers form a botnet to send almost 80% of the spam email. It is certainly challenging to stop spam emails as there is no cost to create and deliver a bunch of spam mails to the target users. A spam campaign is successful even when there is a minimum level of response rate from the target users. 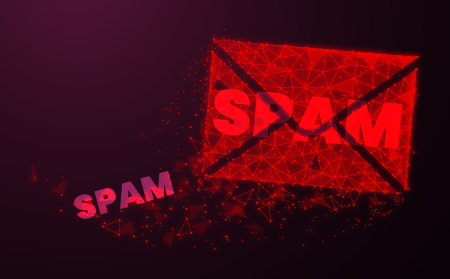 Spams can be of various types they can include search engine spam, wiki spam, internet forum spam, junk fax spam, blog spam, classified ads spam, search engine spam and so on. How Does Email Spam Works? Spammers craft unsolicited emails to send to a group of unsuspecting recipients. Spams are not sent by the actual company, its usually sent by spammers. Spam crafters buy millions of email addresses from organizations’ repertoire for an approximate value of $129 or they use sophisticated software called harvester that can pull out names from websites, services and other groups. Business owners implement the use of software to protect the email ids from harvester by diverting the user to a website that does not exist. The filters, poisoners and other blocking software can be expensive, and it must be escalated time to time as the spammers find out their way to escape detection from such antispam software. Spammers implement the use of specific software developed to send spam emails. The software is crafted to find its way through the secure layers in the Internet to gather email addresses from social networking sites, websites, and any other sources where people share their email addresses. The email addresses are gathered within a limited time frame. The spammer then comes up with a sales message and feeds it into the software and generates a title, and once the email is crafted its sent to target users. Spammers also create a spam network called the botnet and use the C & C servers for gathering email addresses to send spam emails. There is yet another method called the Snowshoe technique in which the spammers exploit the use of IP addresses and email addresses to share spam randomly with neutral reputation. Hackers also send empty message texts and blank subject lines, and these called blank email spams. Such blank emails intend to carry payloads of malware that is then spread through a specific HTML code incorporated in the email. Receiving spam emails is certainly unavoidable. However, users can limit the amount of spam emails from entering your inbox. Users can set up spam filters to move suspicious emails to a separate junk folder. Email recipients can also install an effective anti-spam filter on email clients or generate a Wishlist for emails. The wish-list includes specific IP addresses, domains, and email ids to confirm the users’ trust with the source and a confirmation to receive emails from them. It is therefore important to check and keep the wish-list updated. Incase of any breach, it is critical to change all the passwords to avoid further infection. 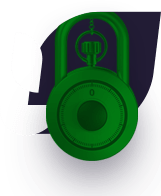 Comodo Dome Antispam comes with an array of features which can be customized as per the user needs. These features to allow only genuine emails into the users’ inbox by filtering out the unknown and moving it to the junk. Antispam software comes for free as well as in paid versions. Comodo Dome Anti-spam is one good option that serves the best features to protect emails from spams. It is designed and developed to effectively identify and filter out the unwanted spam emails from entering your inbox. It performs content analysis to identify and prevent the unsolicited emails from entering the network. 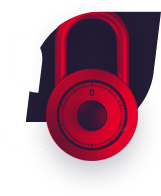 To know more check our official page https://cdome.comodo.com/antispam.php and our experts are there to guide you through.